He likes beer, wine, juice, whiskey, and coke. He likes beer, wine, juice, whiskey and coke. 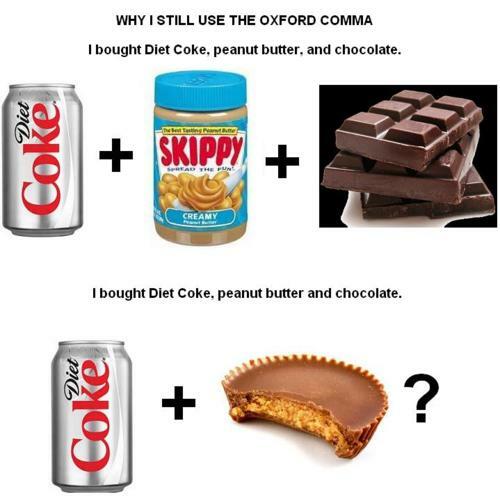 I bought Diet coke, peanut butter, and chocolate. I bought Diet coke, peanut butter and chocolate.